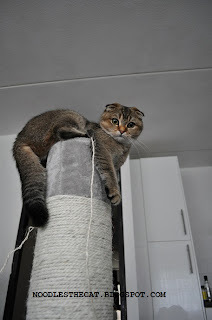 I IZ NOODLES THE CAT: I iz on top of the world!!!! I iz on top of the world!!!! 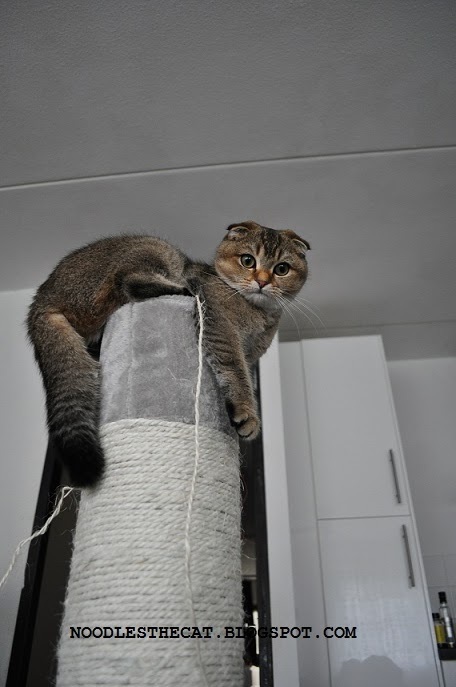 Humanz bought a new scratching post!!!! It iz good to be top cat!! !